At 12:00 am, we expected to get Gucci Mane's Droptopwop and Lil Yachty's Teenage Emotions, but unexpectedly, Bryson Tiller also dropped his highly anticipated second album True to Self almost a month early. Each project has their own sound and gives you choices for vibes over the weekend and the summer. Atlanta's head A&R and hottest producer team up and create an album full of headbangers and subwoofer busting tracks. Gucci Mane embodies the role of the villain over each of Metro Boomin's apocalyptic and gloomy beats especially on tracks like "Dance with the Devil." "Met Gala" is one of the hardest tracks on the album, where Offset claims the best feature. He his closely followed by Young Dolph's verse on "Both Eyes Closed" produced by both London on the Track and Metro. Also, 2 Chainz sold adderall to his cousin when he was taking his finals. My only reservation from the album is that Kodak Black would've sounded perfect on "Bucket List," but you can't everything you want. 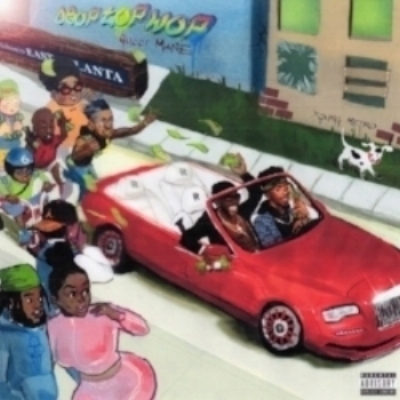 Droptopwop is an EP of bangers and it will make its way on your summer night drive playlist. Lil Yachty released his debut album, and it is truly a mix of teenage emotions. The 21 track album includes an array of features like Migos, YG, Diplo, Evander Griiim, Grace and Sonyae Elise. From the beginning, Yachty stays consistent with his early mixtapes by signifying his multiple personalities of Lil Boat and Lil Yachty in "Like a Star." He gets a lot more aggressive than we are used to on "DN Freestyle" and "Dirty Mouth," and even states he ain't playing any games and will grab the strap if necessary. Even though he gets darker on some tracks, he still creates the happy summer anthem that you would expect from him in "Forever Young." Yachty over Diplo and Dawn Golden's production really embraces his youth and positivity. Too bad Mother's Day was earlier this month, because the outro track "Momma" would've definitely made our playlist dedicated to all the great mothers. Although he gets labeled as a mumbled rapper, you can not deny his positivity and his growth through his quick rise to fame. Keep getting your paper young man!